Silvercorp acquired the TLP silver-lead mine in December 2007. The TLP mine lies about 11 km east-southeast of SGX (240 km southwest of Zhengzhou, the capital city of Henan Province in central China), and it operates under the Tieluping-Longmen Mining License, which is covering an area of 22.916 km2 and from surface at 1,250 m elevation to depth of 700 m elevation (it also covers Silvercorp’s LME and LMW mine). Commercial production commenced in March 2008. The TLP Project is 100% owned by Henan Found Mining Ltd., a sino-foreign cooperative JV company owned 77.5% by Silvercorp (through a wholly owned Chinese subsidiary) and 22.5% by the Henan Non-Ferrous Geological & Mineral Resources Co. Ltd. The cost to acquire the mine was approximately US$22-million. Silver-lead veins in the TLP area were exploited for several centuries by artisanal miners but the area was not systematically explored or developed until the Chinese government initiated activities in 1956. 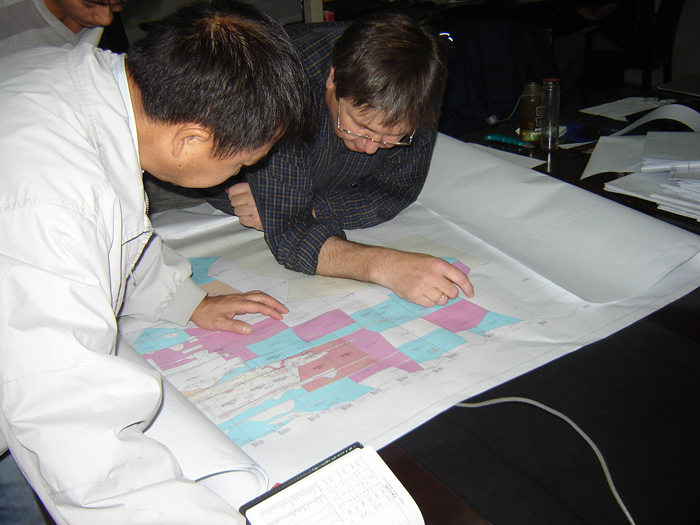 Since then, the area has been mapped, sampled and surveyed in considerable detail. 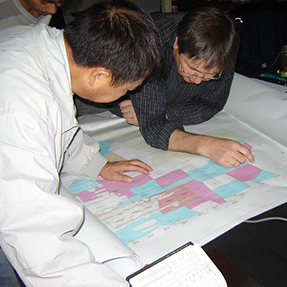 Intense surface and underground exploration from 1985 to 1995 defined significant historical silver and lead resources and serious organized mining began in 1998. Mining operations in the area were closed in 2006 for safety and environmental reasons before being acquired by Silvercorp in December 2007. About one-third of the currently defined mineralization in the Ying district occurs in veins of the TLP and LM mine areas, with 54 known veins at TLP and 93 veins at LM (19 at LME and 74 at LMW). Many of these veins were discovered by recent exploration campaigns since 2010. 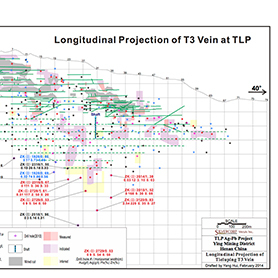 The five largest veins at TLP, T3, T2, T1, T3E and T4, contain 45% of the mineralization defined to date in TLP mine, and recent exploration and mining activities target several major mineralized vein structures: T1W, T3, T4, T5, T11, T14E, T15, T16, T22, T23, T33 and T35E. The veins are generally similar to those found throughout the Ying mining district, occurring as sets or systems of veins of similar orientation which are enclosed by steeply-dipping fault-fissure zones that extend for hundreds to a few thousand meters along strike. The veins are narrow, tabular or splayed, with rich mineralization often occurring in pockets or ore shoots too often having vertical and horizontal extents of several tens of meters or more. 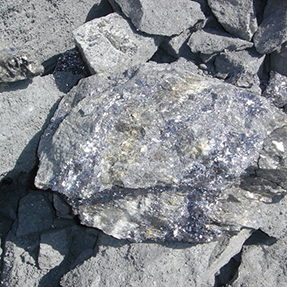 The mineralization consists mainly of galena (lead sulfide) with lesser amounts of sphalerite (zinc sulfide), chalcopyrite (copper sulfide) and sparse amounts of other metallic minerals. The metallic minerals occur as disseminations or massive accumulations in a gangue of quartz and carbonate minerals. 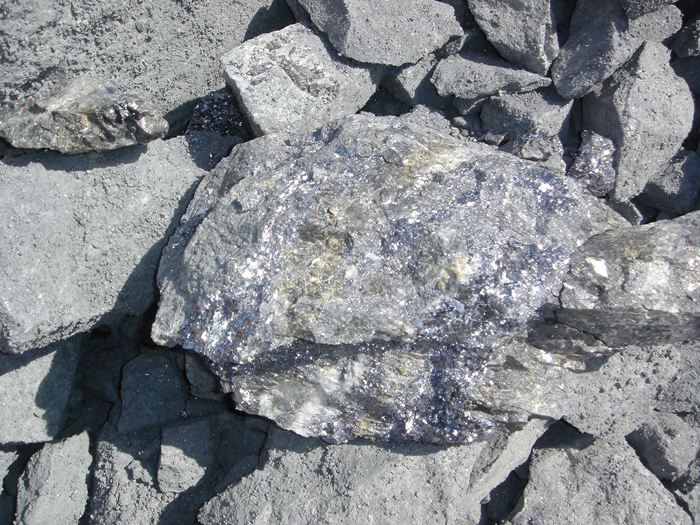 Silver is present mostly as microscopic inclusions in the galena. There are 54 known mineralized veins, all dipping westward. The mine is serviced from 8 adits and hosts seven production systems. The mining plan currently shows production occurring through to 2023 from stopes between the 200mRL and 1,100mRL levels and from vein widths generally between 0.3 m and 5.0 m. The mining method by tonnage was 48% resuing and 52% shrinkage in fiscal 2016. TLP contributed 20% of Ying ore tonnes and 14% of Ying Ag ounces in fiscal 2016. All mining and development activities are completed by a mining contractor. Concentrates are sold to smelters within Henan province, many located within 160 km of the mill. Payable prices are based on the 10-day average spot price on the Shanghai Metals Exchange less Value Added Tax and smelter charges. 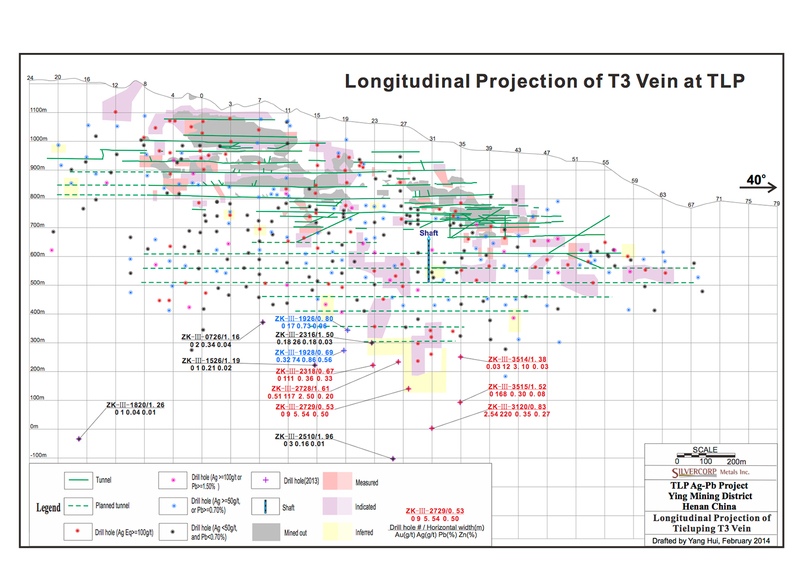 Exploration and delineation of mineralized veins in the TLP vein system is done primarily from underground workings - tunnels, drifts, crosscuts and declines, typically about 2 x 2 m in size - and by extensive underground long-hole core drilling. Tunneling, typically at levels 20 to 50 m apart in elevation, is done along strike of the veins to define character and tenor of mineralization in the veins. Long core holes are drilled from the underground workings at 50-100 m spacings along strike to delimit extent of the veins at depth.